Thank you for registering! 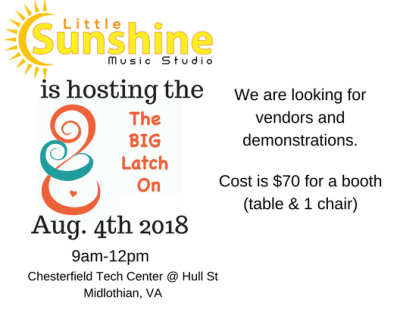 We are very excited to have you as a vendor for the Big Latch On and Resource Fair! Please be on the look out for more information coming from us soon.